Picture it, the internet, 2011. Google launches new networking platform to directly compete with Facebook and Twitter. Fast forward to 2019 and the failed social media network is shutting down prompting many of us to ask, “just what happened to Google+?”. Back in October 2018, we learned that an estimated half a million Google+ users had their private data exposed to third party developers. The security breach allowed these developers to access your name, email, gender, age and occupation – since 2015! Google caught the bug in March 2018 during Project Strobe – an audit program – and fixed the issue, but by then it was too late. Perhaps more upsetting to users than the breach, was the fact that Google chose not to go public to warn users. Former Google employee, Morgan Knutson, describes the vision of Google+ as one of its many problems. He believes the product vision of Google+ was based on the fear of losing the race to Facebook. Users never seemed to fully understand all the moving parts of the Google Suite – which all operate as completely separate entities and lack unison with each other. In addition, the product was never finished being developed. Constant change in the navigation and timeline lead to confusion both internally and by the public. 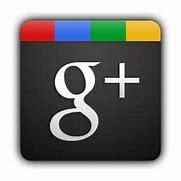 Google seemed determined to make Google+ a success, pushing it hard during its initial launch. Google+ was even tied to YouTube by requiring users to have a G+ account to access or comment on YouTube videos and pages. Despite a good fight, Google+ never took off like similar social media platforms. A Stone Temple Consulting study conducted back in 2015 found 111 million active Google+ profiles with only 6.7 million users who had at least 50 posts ever, according to Forbes. Google announced their official closing date for the failing social network will be April 2, although the process began in November following a second security bug that leaked personal information of over 50 million users. Google maintains there is no evidence any of the information in this breach was misused. In their official statement, Google said the reason for the shutdown was “due to low usage and challenges involved in maintaining a successful product that meets consumers’ expectations”. Google+ accounts and any business pages created will be officially shut down and deleted in April. Any information you have, such as photos and videos, should be saved before April or they will be lost. Google posted directions on how to archive Google+ content. Media stored in Google Photos will not be affected by the shutdown.